A hospital admission can be an extremely stressful time for everyone involved including the patient, carer and family. Carers tell us they often have to repeat their story to staff and feel that they need to stay with the person they care for the all the time they are an inpatient. The A2D Together Folder is a tool to help carers and families share their knowledge and include recent medical details of the person they care for with all staff involved in providing health care. The overall aim of the A2D Together Folder is to ensure that when the person goes to hospital their needs are met and their hospital journey, from their “Admission2Discharge” is a seamless as possible. There are around 850,000 carers in NSW, providing unpaid care and support to a family member or friend with a disability, mental illness, drug and alcohol dependencies, chronic condition, terminal illness or who is frail. Anyone, at anytime, can become a carer. 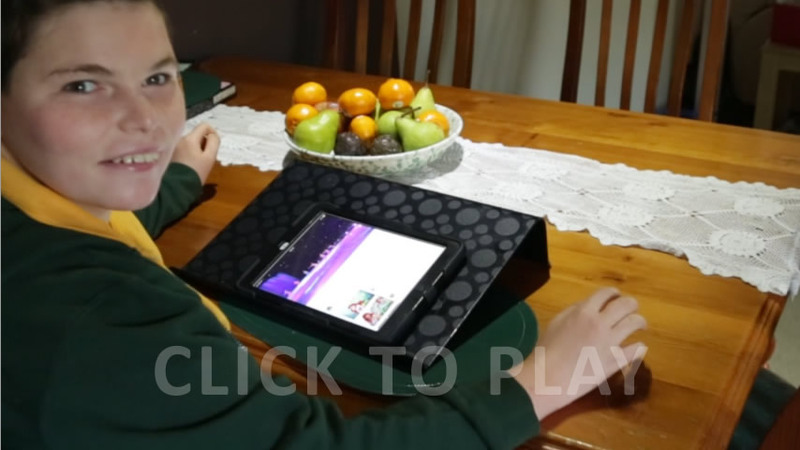 Listen to Anne Funke, NSW Carer of the Year 2014, talk about how the A2D Together Folder has made life with her son Mitchell (who has Angelman Syndrome) a lot easier when visiting hospital. How do I make an A2D Together Folder? The front cover needs to be printed in colour and has the following information on it. You will need to complete this, either online or by hand. Firstly, the person’s name and the name they liked to be called. This is important as the person may only respond to their nickname of abbreviated name for example William only answers to Billy. Add a recent photo of the person you care for when they were well. This can assist the health staff to get a better idea of the person’s current health, especially if the person is admitted in an emergency. Next, add the important contact details. This is the name of the person’s Guardian or person responsible and a contact number for that person. This is so that if the person you are caring for is unable to consent to medical treatment, the treating Doctor has easy access to the person responsible/ appointed guardian details for any necessary medical treatment. It is important to sign and date whenever the A2D Together folder has been reviewed or updated and this can be found on the back of the cover page. You may also need to take it to your local GP for review, if there is any type of treatment or medication change. This is to make sure that the information that goes to the hospital is correct and current, which saves time, and allows faster treatment. If the person you care for has medications packed in a blister (webster pack), then this needs to come to hospital in this section. If they don’t have a blister pack, you need to put in a list of their medications, and send the containers of current medications with them to hospital. You need to also send any liquid medication or inhalers the person you care for may use. This section contains the persons TOP 5 tips for support. The purpose of the TOP 5 is to help clinical staff be aware of the person’s specific communication abilities, their needs, like, dislikes, rituals and preferences for support. If the person is admitted to hospital in an emergency and you are unable to go with them, it’s important to tell the paramedics about the TOP 5 in the A2D Together Folder. This can help them to look after the specific needs of the person and provide the support needed during transport. The NSW Ambulance team will hand over the folder to the hospital staff responsible for the care of the person (admission) when they get to hospital. It is also important that 2 or 3 copies of the TOP 5 are included in this section. When the person is admitted to hospital a copy should be given the hospital staff so that TOP 5 can be placed in the person’s nursing notes. The other TOP 5 stays with the person in their A2D Together Folder at all times. There are some sample TOP 5s available to read, and hints about putting a TOP 5 together. Download a copy of the Hospital Support Plan Part 1 and take it to your local GP. Ask them to complete the medical section. Put a date (6-12 months) in your calendar to check that the information is still current. Add any other relevant support plans (for example meal time management, behaviour management ) and recent specialist reports. The green section of the folder contains a completed Hospital Support Plan (part 1&2) and other support plans that will support the person whilst they are in hospital. Part 1 of the hospital support plan is completed by the person you care for if they are able to or by the carer with the local GP. Part 2 of the hospital support plan is completed once the person is admitted to hospital with you (the carer) and the nurse in charge in the hospital setting. You can also include copies of recent Specialist medical reports in this section. This will provide valuable information to the health professional about the person’s ongoing health and any medical conditions. Print a copy of the completed pages, and place into a clear plastic folder (A4 non-refillable display book with 20 fixed sheets). Give to the paramedics if going by Ambulance, or take to the hospital for planned and unplanned visits. Place all of the completed sections into an A4 Display folder, and you have a completed A2D Together Folder. Remember the Admission2Discharge Together or the ‘A2D Folder’, may be the only information the hospital staff has about the person you care for, if you are unable to go with them to the hospital. It is important that the folder stays with the person at all times for all hospital staff involved to be able to read sand use. Try not to put unnecessary information in the folder – as if there is too much information, staff may not have time to read it all.